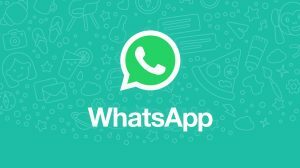 Stop members from messaging in WhatsApp group; Only admins can post! WhatsApp admins can now turn the group into a 1-way communication where only admins can send messages. Members can read and share the messages, but they cannot send messages in the group. WhatsApp is gradually rolling out new functionality. 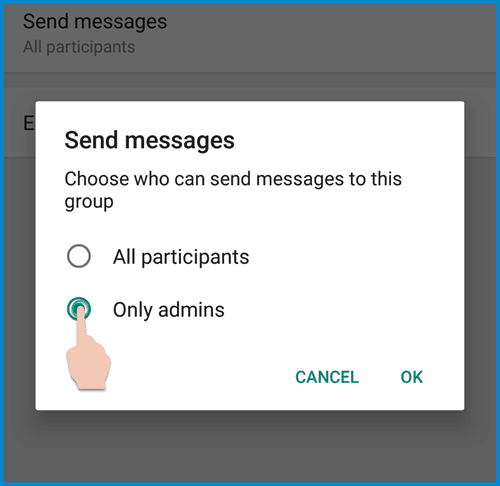 The latest development allows WhatsApp group admins to restrict members from sending messages in a WhatsApp group. By utilizing the feature, you can put all members of the groups in a read-only mode. They can read all messages, but cannot send any new messages. This is a good feature for groups which are created to pass on information from a single source. For example, there are WhatsApp groups to share university class schedule, or to pass important updates to a large group at the same time. 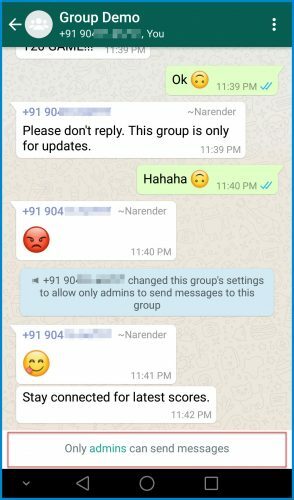 The setting makes WhatsApp group similar to a Telegram channel where only admins post messages. 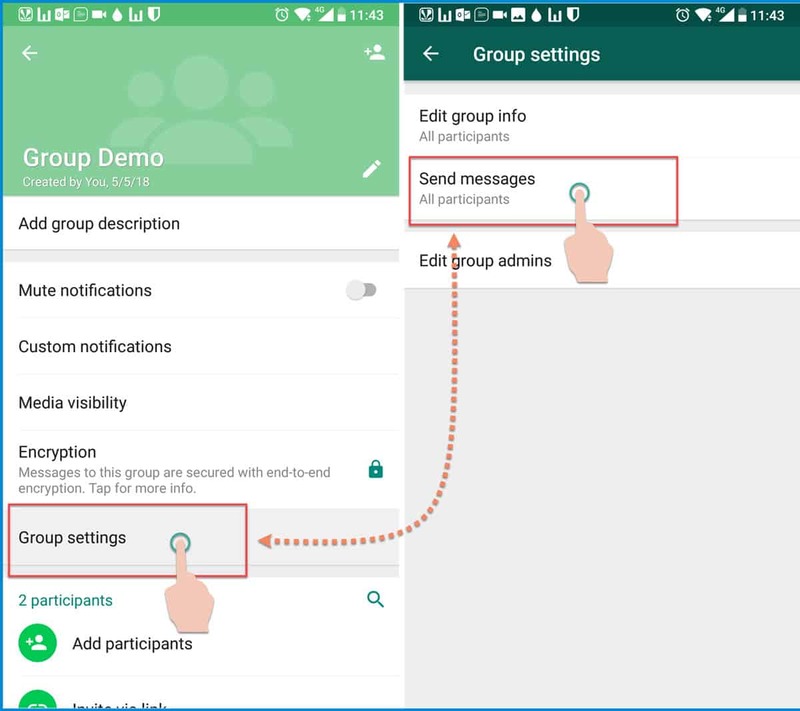 You need to use the “Send Messages” permission to stop members from sending messages in your WhatsApp group. And for you to make this change, you need to be an Admin of the group. If you are not an admin, then you can ask any other admin to promote you as an admin. 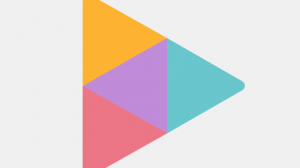 Here are the instructions to be followed on Android devices. The procedure should be the same on WhatsApp for iPhone and Windows Phone. Open WhatsApp group that you administer. Open group info by tapping on the group name or topic. Select Send messages and change from All participants to Only admins. A soft notification will appear in the group, informing every member that you have made this change to the group settings. Effect on WhatsApp client of members – The text box to type a message will get replaced by the banner which reads “Only admins can send messages”. Tapping on the banner allows the member to quickly contact an admin. By restricting members from sending messages, group admins can keep a group simple and clean. So, the members who are connected with the cause or purpose receive regular updates without getting disturbed by memes, jokes and other messages which they do not care about. 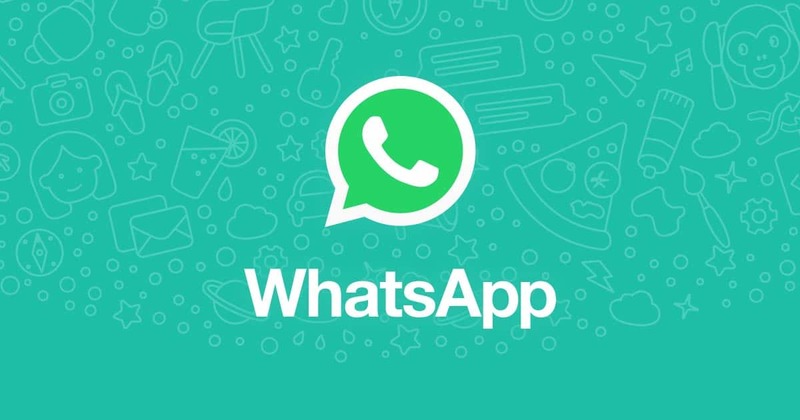 WhatsApp is finally revamping the way groups work on its platform. Now, admins are slowly getting more and more powers. They previously rolled out the setting to restrict who can change group info. I don’t know if it is because of the growing popularity of Telegram or something else, but it is all going to the right direction.